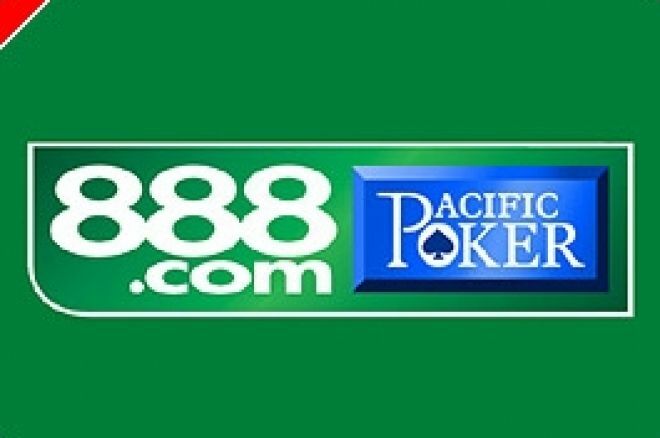 888.com, the London-quoted company that runs the popular online Pacific Poker and Casino On Net brands, has published its interim 6-monthly accounts for the period to 30th June 2006 and commented upon current trading. "Poker volumes have also grown impressively with NGR (Net Gaming Revenue) up 68% to $73,900,000. "In the first half, our poker offering was released in six new languages and a new Jackpot feature has been introduced. Multi-hand was also introduced and today a rising number of our poker customers use this feature. "Continued innovation is key to our customers' experience, and this is what underpins sustainable growth." "Our major casino brand, Casino on Net, founded in 1997, has consistently been ranked as the leading online casino brand in the world. We continually innovate our casino offering and earlier in the year we launched an updated version. This included many new video slot machines which give a unique playing experience and have proved hugely popular. We are now adding one new slot machine a month to our offering. "NGR (Net Gaming Revenue) for the half year was up 12% at $89,600,000. 888 focuses on high value customers, gives them the 'perfect user experience' and this creates loyalty. As a result, we continue to see not only an increase in customers, but also an increase in the NGR per active player." ** Excluding customers recruited on a revenue share basis. "These are excellent results and represent a record performance of profitable growth. We have delivered on all our flotation goals. "Trading during the first 10 weeks of Q3 (July to September 2006) is in line with management expectations and we are on track to achieve a satisfactory outcome for the full year. "As of 31 December 2006, I shall step down as CEO and take the role of non-executive Director. The current Chief Operating Officer, Gigi Levy, will succeed me as CEO. Gigi is an excellent, experienced individual who is more than capable of taking on this challenge. "I am proud to have led 888, since 2000, through its formative years into the success it is today. Over the past six years, 888 has been a pioneer in the online gaming industry." "The Company monitors developments in the legal and regulatory environment for online gaming, and their potential impact on its business and continue (sic) to take appropriate advice. "In July this year, the House of Representatives in the United States passed the Internet Gambling Prohibition and Enforcement Bill. This Bill is now with the Senate for consideration. We await developments as to the final form, if any, of the Act. An Act, if passed, may have a material adverse impact on 888's business. In the six months to 30 June 2006, 52% of the Group's NGR was derived from customers based in the US. "We are closely monitoring the progress of the recent enforcement actions in the US against two directors of UK companies involved in Sportsbetting. 888 has no involvement in Sportsbetting." Ed note: Qualify for the Aussie Millions with Team Poker News in our exclusive 888 Poker freerolls. Download 888 Poker now to be eligible!